I've been meaning to eat in this resto for the longest time but most branches are out of the way. Then one day, we noticed a sign that says "Opening Soon!" We ended up dining at the resto one Sunday evening after our mall-stroll. I was thinking of ordering chicken but decided against it since I wanted to taste the balamban liempo which a lot of people seem to rave about. So what's the big deal? Is it as yummy as my homemade balamban liempo? Of course not. Really. I find Chic-Boy's very oily and not as flavorful. Also, the portion that was given to us was a bit burnt. Not crispy, but burnt. 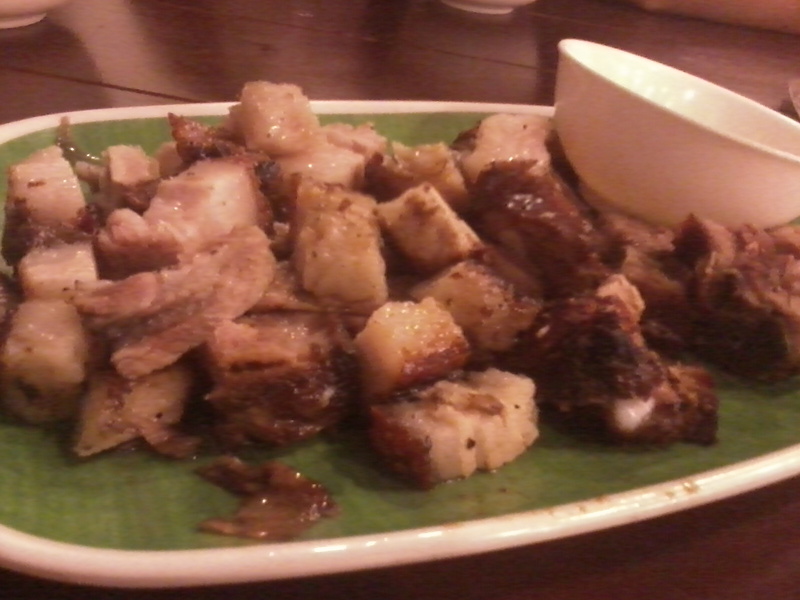 After the initial disappointment, my heart literally leapt for joy when I tasted the vinegar served with the liempo. Two thumbs up! 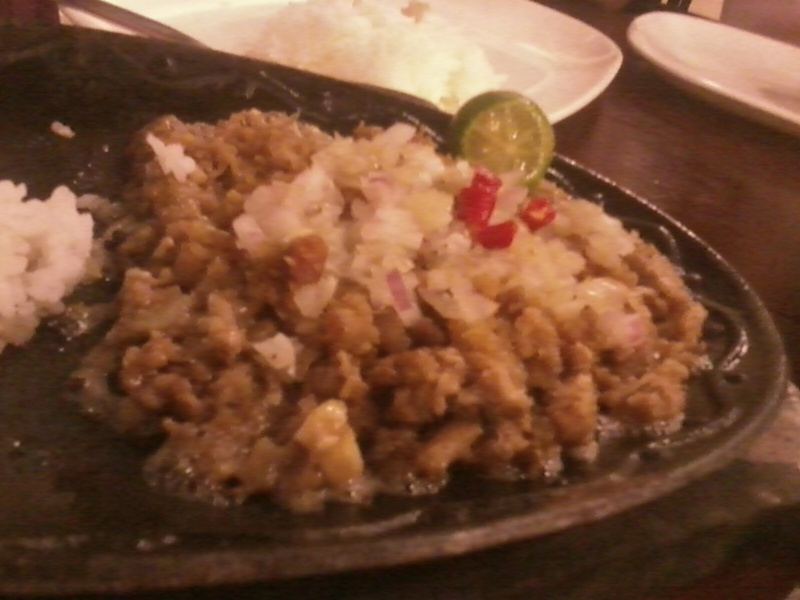 The sisig was okay, though. But not that memorable. And the turon. Hmmmm ... I was expecting to be blown away but it turned out that I was driven away. 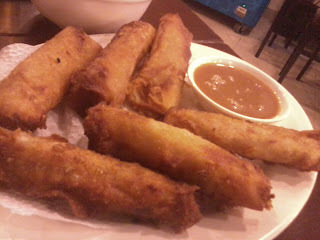 It looked okay when it was served to us but when I tasted it, it was a reheated version of turon. Nuked! So our Chic-Boy experience didn't turn out great. Maybe the stars were not in a lucky position when we ate there. However, you'd have to literally drag me back to eat there again.